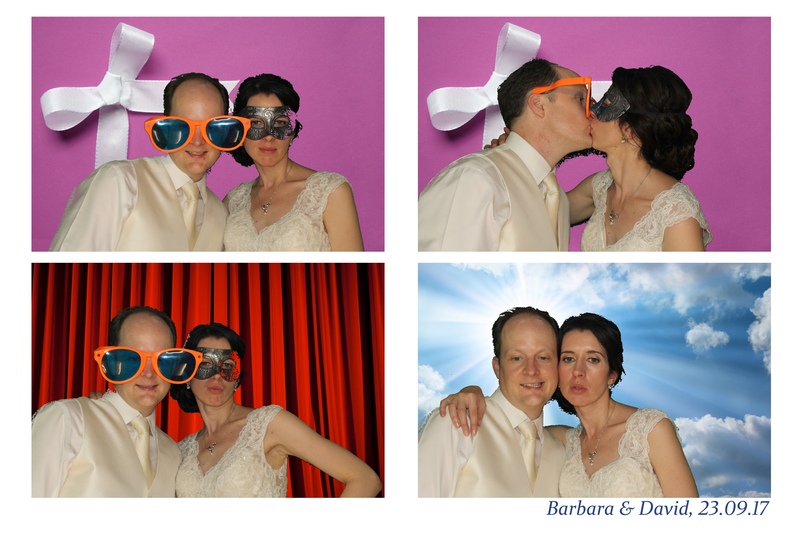 Our luxury green screen Photo Booth was well received on saturday at the wedding of Barbara & David held at the Great Barn at Headstone Manor Museum in Pinner. There were lots of Italian guests so all the speeches were twice as long as they had to keep stopping to translate from English to Italian ! Headstone Manor is now known as Headstone Manor & Museum. It is a 14th-century moated manor house, formerly the home of the Archbishop of Canterbury. Built in circa 1310, the moated Manor House known as Headstone Manor is the earliest surviving timber framed building in Middlesex. Described as ‘one of the most interesting domestic complexes in the whole country’, the fabric of Headstone Manor contains examples of high quality work dating from the 14th, 17th and 18th centuries. Headstone Manor is a Grade I listed building. Headstone Manor is surrounded by the only surviving filled moat in Middlesex. The moat is contemporary in date to the oldest part of the building, and was constructed as a status symbol to reflect the wealth of the manor’s owner. The land on which Headstone Manor stands is recorded to have belonged to Wulfred, Archbishop of Canterbury, in 825AD. The construction of Headstone Manor began in c.1310, as revealed by the tree-ring dating of the building’s oldest timbers. John Stratford, Archbishop of Canterbury, purchased even more land around the site in 1344 and used the site as his main residence in Middlesex. Headstone Manor remained in the ownership of the Archbishops of Canterbury until 1546, when it was surrendered to Henry VIII. Soon after, Henry VIII sold it to one of his court favourites, and it remained in private ownership for almost four centuries. The Manor has a timber framed aisled hall, and the building is Grade I listed. The building was extensively restored in 2004-5. The Manor has records dating to 825AD, and the estate is protected as a scheduled ancient monument. The site includes several other buildings, which make up the rest of Headstone Manor & Museum: a Grade II listed “Great Barn”, formerly believed to be a Tithe Barn, of 1506, restored in the 1970s, an 18th-century Grade II listed Granary, restored and moved from another site in Pinner in 1991, and a Grade II listed 16th-century “Small Barn”, restored in 1995. The “Great Barn” is now available to hire for functions and weddings as well as being used for community events.